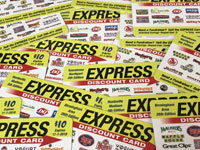 Express Discount Card | Fund Raising Services, Inc.
For over 27 years, Fund Raising Services, Inc. has helped hundreds of thousands of students and their schools' groups raise much needed funds to support their many needs. We have great ways to raise money for football, band, choir, junior class, soccer, basketball, baseball, volleyball, lacross, FBLA, travel teams, little league, class trips, elementary and middle schools, scouts, church groups...you get the idea...anyone who needs to raise money! We provide the easiest, fastest and most profitable fund raising products the industry has to offer. 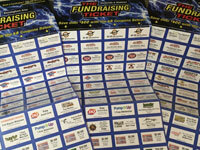 Take a look, come aboard and let us help you reach your fund raising goals! ©2019 Fund Raising Services, Inc. All Rights Reserved.